As the year is coming to an end a review of the year 2017 gone by is taking place in every field, be it movies, sports, books, economy etc etc. 10. Robert Mugabe’s Ouster. He ran Zimbabwe for thirty-seven years and planned to rule for longer, even if that meant running the economy into the ground and becoming increasingly ruthless. His presidency ended only when tanks rolled into Harare in November to force him from power. The trigger was his decision to shove aside his vice president, Emmerson Mnangagwa, in favor his wife, Grace. 9. Britain Triggers Article 50. Actually initiating divorce proceedings from the European Union (EU) required Britain to invoke Article 50 of the Lisbon Treaty. The move “from which there can be no turning back” finally came on March 29. 7. The Fall of Mosul. In June 2017, after a three-year-long occupation, the city was finally liberated. The cost was high. Perhaps as many as 40,000 civilians died in the fighting and another million displaced. The city itself was devastated and will take years to rebuild. the loss of Mosul didn’t mean the demise of ISIS. The group has a cyclical history, waxing and waning in strength over time. As its territorial control diminishes, it’s likely to revert back to its insurgent roots. All in all, Iraq’s future remains troubled. 6. Mohammad bin Salman Remakes Saudi Arabia. Saudi Crown Prince Mohammad bin Salman (MBS) is a young man in a hurry. The idea is to prepare the country for a post-oil future and to loosen its conservative social strictures. In November, he had eleven of his cousins arrested on corruption charges. (Their jail cell was a Ritz-Carlton.) He championed Saudi Arabia’s intervention in Yemen in 2015, which created a humanitarian disaster for Yemenis and a quagmire for the Saudis. He also pushed for this summer’s Saudi-led embargo of neighboring Qatar. 4. The Globe Continues to Warm. The earth is getting warmer. the dramatic melting of the Arctic and Antarctic and of glaciers around the world is something that climate scientists have been predicting for decades. 3. North Korea Defies the World. In early September, North Korea conducted its sixth nuclear test. Three months later it tested a ballistic missilethat looks capable of hitting any U.S. city. While Beijing is taking a tougher line on North Korea, it can’t—or won’t—compel Pyongyang to back down. Only military force looks likely to do that. But the cost of military action would likely be steep—possibly even “catastrophic.” On the other hand, allowing North Korea to remain a nuclear power poses big risks as well. Washington, Beijing, Seoul, and Tokyo have tough choices ahead in 2018. 2. Xi Jinping’s “Extraordinary Elevation.” Xi is China’s most powerful leader since Mao, and he’s likely to be around for a while. In October at the nineteenth Chinese Communist Party Congress Xi was named to his second five-year term as party general secretary. 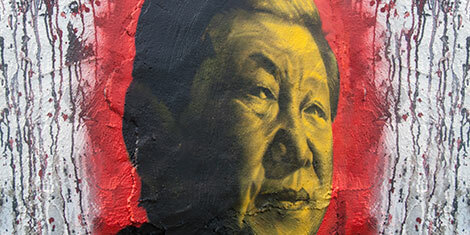 He was also named a “core leader,” a title denied to his immediate predecessor, Hu Jintao. 1. Donald Trump Champions America First. Donald Trump campaigned on a pledge to do things differently and to do different things in foreign policy. He has been good to his word since getting to the White House. He has canceled U.S. participation in the Trans-Pacific Partnership, withdrawn the United States from the Paris Climate Agreement, refused to certify that Iran is in compliance with its nuclear obligations, recognized Jerusalem as the capital of Israel, ramped up the use of drones, and relegated democracy and human rights to the sidelines of U.S. foreign policy. Designing government policy to eradicate corruption is not easy. 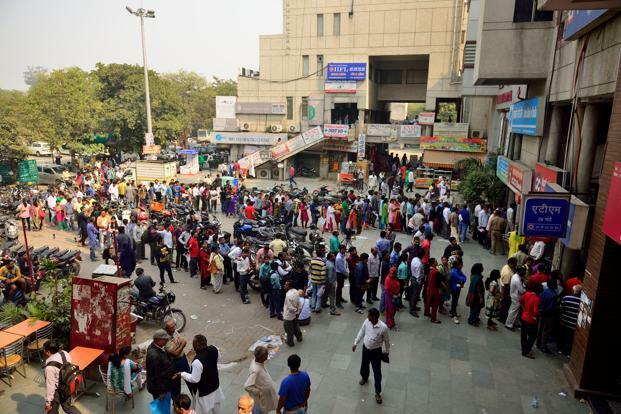 As the “demonetization” exercise demonstrated, such earnest endeavours can have big and unintended consequences and they often might not proceed according to plan. Although not concerning itself with demonetization, a new book by economist Jean Drèze delves into the challenges of making public policy for India. Specifically, it focuses on policy in the field of poverty eradication, rural employment guarantee and overall social development. In a ploy for votes, the opposition Congress Party has surrendered the core ideals of the Indian independence movement. The recent assembly elections in Prime Minister Narendra Modi’s home state, Gujarat, have confirmed what astute observers of the Indian political scene have been predicting for some time: India’s experiment with secularism seems to be in its final stages. The victory of Modi’s Hindu nationalist Bharatiya Janata Party (BJP) in Gujarat is just one face of this phenomenon. The BJP has scored several victories in recent state elections, the most spectacular of them in India’s largest state of Uttar Pradesh earlier this year, where a fervently anti-Muslim Hindu priest has taken over as the state’s chief minister. Therefore, its victory in Gujarat, which it has ruled for twenty-two years, is not a surprising event and part of an established pattern. Who built the Indus Valley civilisation? There are few questions more fundamental to our understanding of Indian history than this. On the answer to it hang many details of the country’s past: How did we come to be as we are — culturally, ethnically and linguistically? And what explains the way we are spread out geographically in the subcontinent? The Pentagon has disclosed the extent of raids by U.S. special operations forces in Afghanistan for the first time in years, as the Trump administration boasts of a more aggressive effort against militant groups including the Taliban, the Haqqani network and Islamic State. 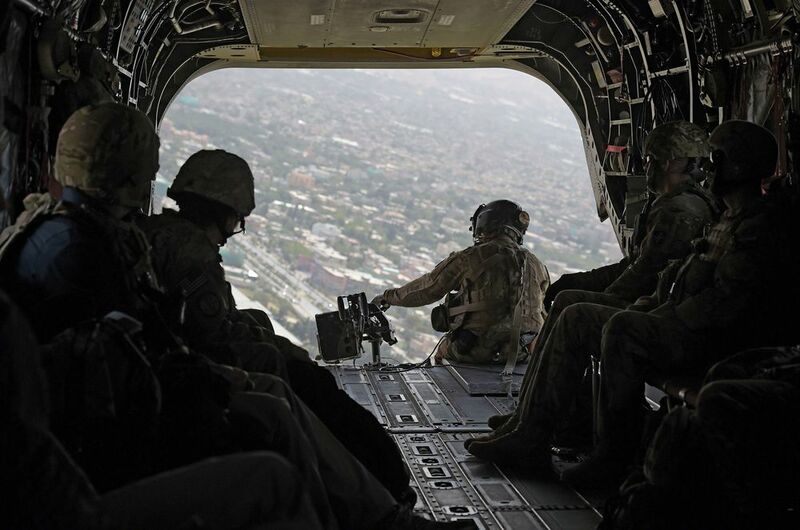 From June 1 through through Nov. 24, personnel from the U.S. Joint Special Operations Task Force-Afghanistan conducted 2,175 ground operations “in which they enabled or advised” Afghanistan’s own commando forces, according to the Pentagon’s biannual status report to Congress. The Associated PressFILE - In this file photo taken Sunday, July 5, 2015, Uighurs living in Turkey and Turkish supporters, chant slogans as they hold a Chinese flag before burning it during a protest near China's consulate in Istanbul, against what they call oppression by Chinese government to Muslim Uighurs in far-western Xinjiang region. Since 2013, thousands of Uighurs, a Turkic-speaking Muslim minority from western China, have traveled to Syria to train and fight alongside al-Qaida, playing key roles in several battles. The idea of “peace through strength” can be traced back to at least Roman times and almost certainly goes back even further, but in U.S. history, it is associated with Ronald Reagan. In his essay, “The Ancient Foreign Policy,” historian Victor Davis Hanson salutes its origins and links this “common wisdom” to the concept of deterrence. From Vegetius’s Si vis pacem, para bellum [If you want peace, prepare for war] to Ronald Reagan’s “peace through strength,” the common wisdom was to be ready for war and thereby, and only by that way, avoid war, not to talk bellicosely and to act pacifistically … Deterrence (and with it peace) often was not defined only in material terms; it rested also on a psychological readiness to use overwhelming power to confront an aggressor … Again, deterrence (“the act of frightening away”) rested not just on quantifiable power but also on a likelihood to use it. That winter night in the Chinese city of Kashgar in 2009 set Ali on a path that ended in northern Syria where he picked up a Kalashnikov rifle under the black flag of jihad and dreamed of launching attacks against the Chinese rulers of his homeland. Since 2013, thousands of Uygurs, a Turkic-speaking Muslim minority from western China, have travelled to Syria to train with the Uygur militant group Turkestan Islamic Party and fight alongside al-Qaeda, playing key roles in several battles. Syrian President Bashar al-Assad’s troops are now clashing with Uygur fighters as the six-year conflict nears its endgame. What would a cyberwar between the UK and Russia look like? The UK's cyber arsenal should at least match the capabilities of anyone else, given GCHQ's expertise, says Sky's Tom Cheshire. In Dr Strangelove, deterrence is defined as "the art of producing in the mind of the enemy… the fear to attack". Deterrence only works if the enemy knows about the deterrent. Things go south in that film because the USSR develops a superweapon, the Doomsday machine, in complete secrecy. The Kremlin’s interference in the 2016 presidential election should have served as a wake-up call for Americans that something we took for granted—democracy—is vulnerable to attack by foreign adversaries in new and powerful ways. Instead, we’re mired in debate about whether the interference even occurred, and whether it mattered. Yet Moscow continues to exploit systemic societal vulnerabilities, including the erosion of public faith in democratic institutions, growing political polarization, and the failure to fully grasp the power of new technological tools, to mount an offensive on democratic institutions and civic debate. For centuries, the Russian way of war was numbers. Whether the enemy was Napoleon, Hitler or NATO, Russia would flatten them with a huge steamroller of troops, tanks, artillery and nuclear weapons. Those days have ended. Modern Russia’s way of war is much more about finesse and technology. It’s also much closer to the Western way of war as practiced by the Germans and today’s Americans. In Europe, the increasing popularity of anti-establishment and far-right movements is nothing new. What’s new is the growing split between Brussels and some member states on how to deal with Russia. Austria is a case in point. After weeks of negotiations, a coalition between the conservative Austrian People’s Party and the far-right Freedom Party was sworn in on Dec. 18. The last time these two parties governed the country, from 2000 to 2007, all European Union member states as well as Israel imposed a diplomatic boycott on Austria in protest. They objected to the nationalist stance of the governing parties and what they saw as the Freedom Party’s neo-Nazi agenda. The United States and Israel recalled their ambassadors until a Freedom Party leader resigned from the government and the European Commission confirmed that Austria was indeed committed to European values. As potential adversaries build out sophisticated underground complexes, the U.S. military will try to keep up by going down. ISIS and the North Korean regime share at least one tactic in common: both have sought to counter the U.S. military’s monitor-and-strike capabilities by building vast subterranean tunnel complexes. They’re not the only potential adversaries to do so. On Thursday, the Defense Advanced Research Projects Agency, or DARPA, announced a new grand challenge in search of new tech to map, navigate, and search underground. 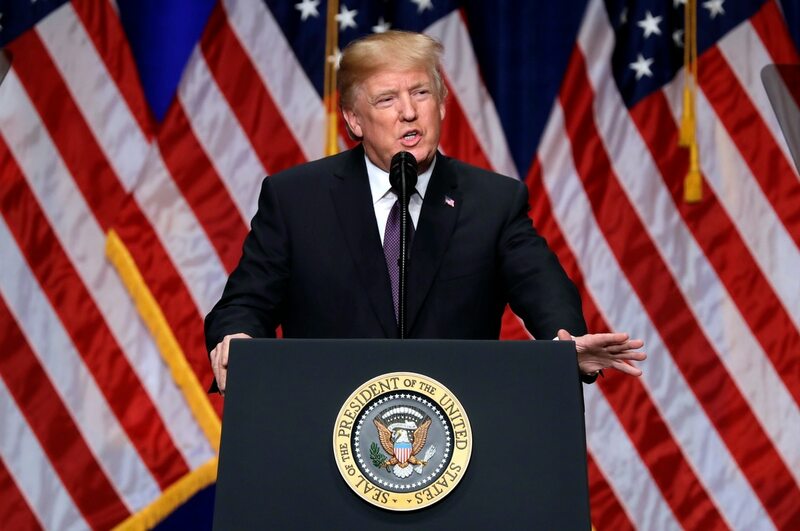 President Trump’s newly released National Security Strategy is a pleasantly centrist document -- essentially a well-written amalgam of mainstream foreign policy principles that could as easily have emerged from a Hillary Clinton White House. 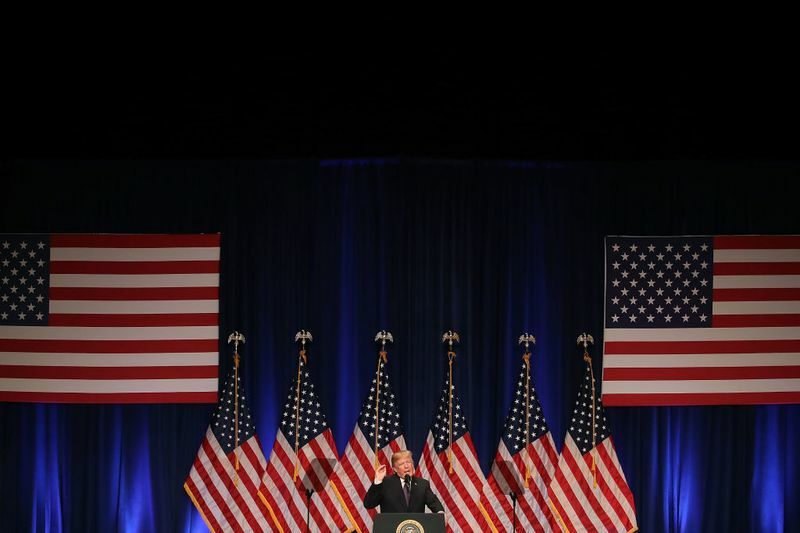 Despite a couple of outlying aspects, the “four pillars” of the document reflect traditional ideas of international relations and are hard to argue with: protect the homeland, promote American prosperity, preserve peace through strength, and advance U.S. influence. Respondents’ economic optimism and confidence in their companies’ prospects reach a year-long high, though overinflated asset prices are a growing concern. After reporting increasingly positive views on the economy throughout 2017, respondents to McKinsey’s newest survey on economic conditions are ending the year on an exceptionally cheerful note.1Most respondents say that both global and domestic conditions have improved in recent months, and for the months ahead, they are two to three times more likely to believe that conditions will improve than they are to expect declines. Majorities of respondents predict economic growth—worldwide and at home—in the coming months, and that trade will rise between their own countries and the rest of the world. Expectations for companies’ growth and demand also have reached new heights. Among possible risks, overinflated asset prices are an increasingly worrisome threat to global growth, while in respondents’ home economies, concern about heightened equity prices is on the rise. Once upon a time, the Esalen Institute, just south of Big Sur, California, was a prime destination for radical thinkers. In the 1960s, beat poet Jack Kerouac wrote verse and prose odes to the local scene at the hot springs retreat overlooking the sea. Philosopher Alan Watts talked Zen and Eastern thought to visitors. Psychologist Abraham Maslow illuminated his hierarchy of needs. Psychiatrist Fritz Perl developed Gestalt therapythere, while mythologist Jospeh Campbell elucidated human narrative. Hunter S. Thompson—who’d been a caretaker at the predecessor spa, the Lodge—strode about high and naked, having made it as the first gonzo journalist. While Japanese Prime Minister Shinzo Abe’s electoral victory in October has generated plenty of debate regarding prospective constitutional change, another highly controversial issue — nuclear power — has largely escaped attention despite being touted as a significant electoral issue. Although initially returning to power in 2012 at the height of post-Fukushima anti-nuclear sentiment, Abe has promoted nuclear energy as a pillar of his economic agenda at home and abroad. Indeed, despite the industry’s diminishing domestic prospects, his return to office signals the continuation of policies promoting Japanese nuclear technology abroad as a means of addressing the nation’s trade deficit, ironically a product of the suspension of most of Japan’s own reactors. 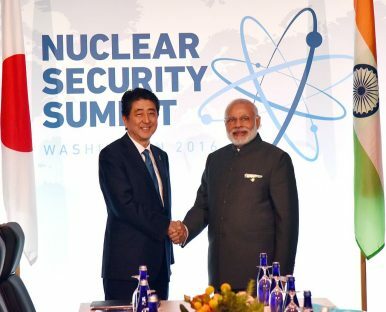 While I have discussed the domestic security dimensions to Japan’s nuclear power program elsewhere, it is worth unpacking some of the political, financial, and strategic risks of a continuation of Tokyo’s nuclear export agenda. “The Darkest Hour,” a film which emphasizes the courage and iron will of Winston Churchill through the first weeks of the Second World War, is drawing audiences and praise on its release in North America. It shows new generations that this man – mocked and marginalized in the 1930s by his party – was an inspirational leader during those bleak days, and beyond. Yet the acclaimed war-time prime minister was also an imperialist and a racist. Protesters hold an anti-refugee banner during a rally organizd by far-right nationalist groups to mark the 99th anniversary of Polish independence in Warsaw, November 11, 2017. Unmanned aerial vehicles will experience the most dynamic growth in the global aerospace industry over the next 10 years, with military production driving the demand, according to a recent report. Analysts from the Teal Group predicted that worldwide UAV production will increase from $4.2 billion annually in 2017 to $10.3 billion in 2026, totaling over $80 billion during that period. Military UAV research spending would contribute another $26 billion in that timeframe, according to the firm’s annual World Military Unmanned Aerial Vehicle Systems: Market Profile and Forecast. Space has become an increasingly important area of operations for commercial industry and the U.S. military. Plummeting launch costs and the miniaturization of powerful technology have encouraged more countries and companies to venture into space, making it a “common domain for human endeavor,” said Air Force Secretary Heather Wilson. On the ground, industries have risen around the use of GPS, or Global Positioning System, the space-based navigational system pioneered by the U.S. military. When the world has gone corrupt, who can you trust? Blockchain is stepping up. The word might ring a bell for its connection with Bitcoin, but internet pioneer Brian Behlendorf is looking at this technology beyond its use in cryptocurrency. Blockchain is an open ledger system where transactions are irreversibly recorded and immediately shared to a distributed network of witnesses (companies, agencies, individuals).